When the Apple Watch was paired with a machine-learning algorithm, it could accurately spot irregular heartbeats, according to a new study. "Because smartwatches are becoming so common, we believe leveraging these continuous sensors could represent an efficient way to screen for [atrial fibrillation]," said Dr. Gregory Marcus, one of the authors of the study and the director of clinical research in the University of California-San Francisco's Divison of Cardiology. Atrial fibrillation is the most common heart-rhythm disturbance and one of the main causes of stroke, as well as a harbinger for dementia. Smartwatches could catch atrial fibrillation that would otherwise go undetected, the authors wrote. "Readily accessible means to detect and screen for silent [atrial fibrillation] are needed," they wrote. Because smartwatches are noninvasive, relatively inexpensive, and increasingly popular, they'd be well-suited for the task. The watch and algorithm were most accurate when used with patients who were being actively treated to return regular heart rhythms but less accurate with people who had a history of atrial fibrillation. What's more, the researchers looked only at patients known to have had atrial fibrillation, so it's not yet proven exactly how effective an Apple Watch would be in detecting new cases. "More refinements are needed before these devices are used widely for atrial fibrillation screening," Marcus said. "Ultimately, the challenges will likely be more related to data management so that information can be digestible and meaningful to patients and clinicians," he added. 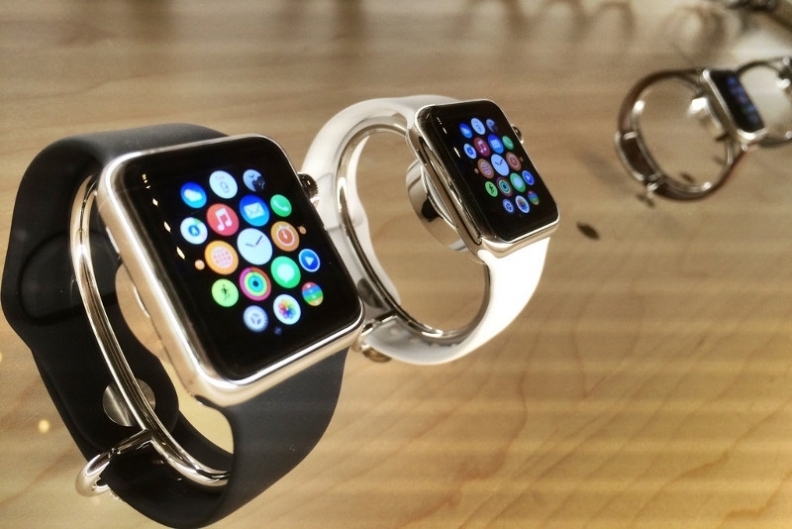 Apple itself has been pushing the heart-monitoring capabilities of its watch. Last fall, Apple and Stanford launched the Apple Heart Study, which relies on the Apple Watch to detect irregular heart rhythms. If a participant's watch senses what looks like atrial fibrillation, the Apple Heart Study app will notify the person, who will also get a free telemedicine consultation with a doctor. The study isn't the company's only foray into healthcare. Earlier this year, it announced that the new iteration of its Health app will allow patients of certain health systems to download the electronic health record data onto their iPhones.